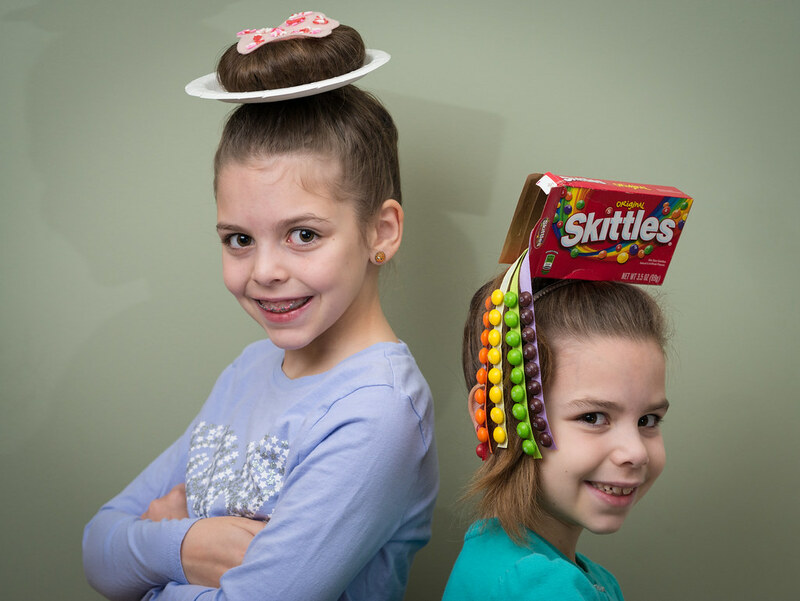 This year, the girls’ school had a Crazy Hair Day. 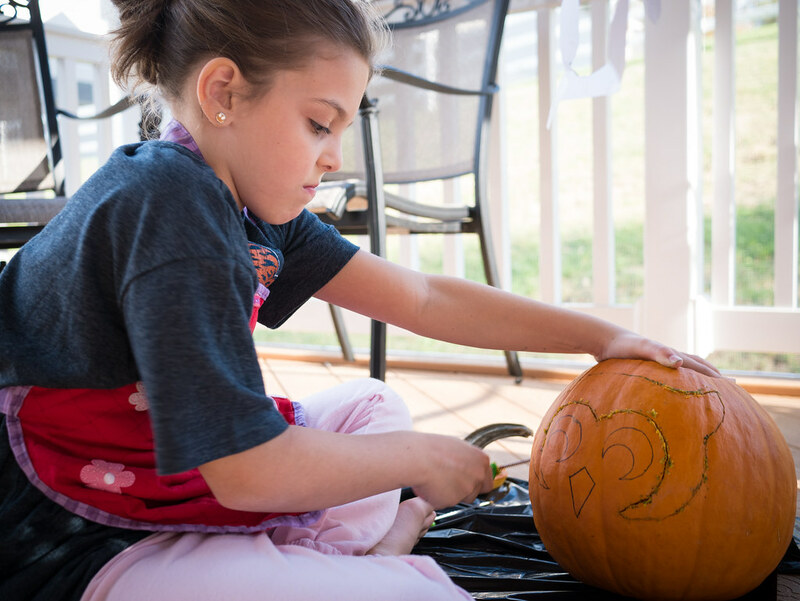 They decided to go all out, thanks to a little help from their mom and Pinterest. 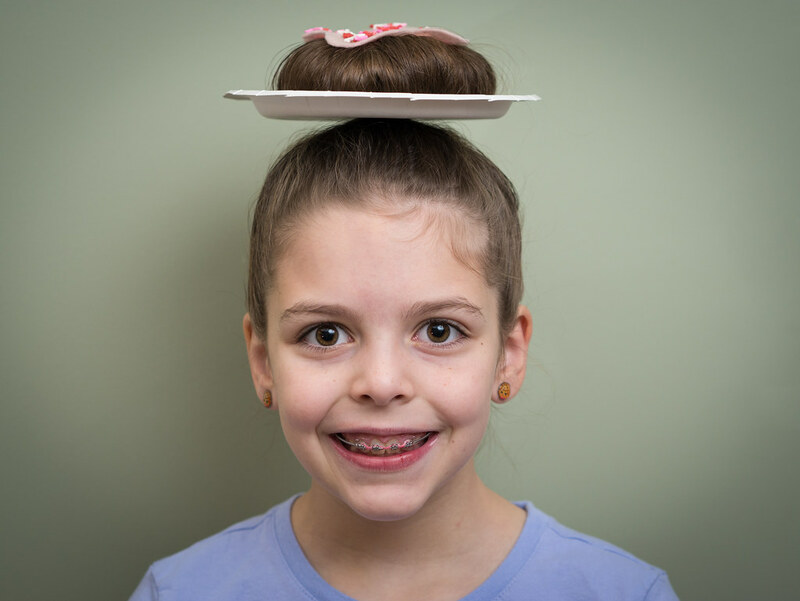 After becoming an expert in sock buns for Molly’s Leia costume, Jen quickly whipped up Molly’s donut hair. With the addition of real sprinkles, a few of Molly’s classmates were confused as to whether the donut was real! 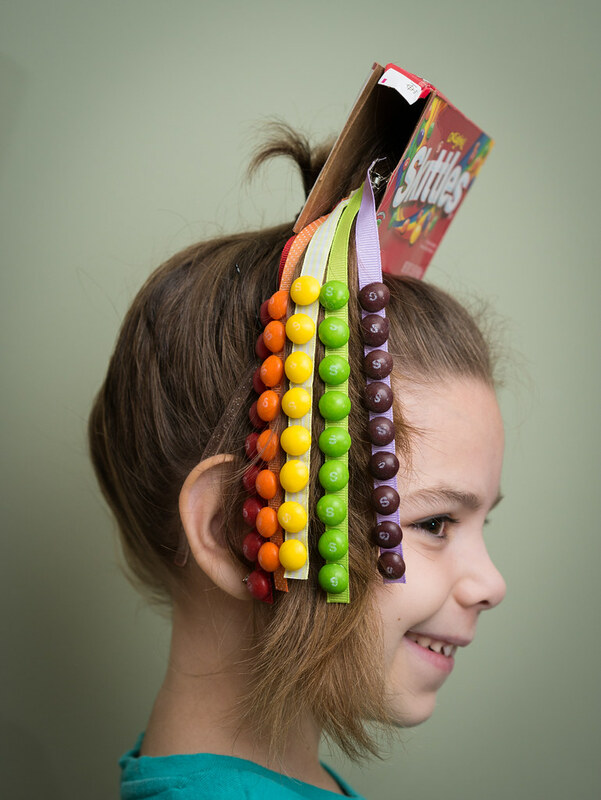 Leah’s classmates kept asking her if those were real M&Ms in her hair. 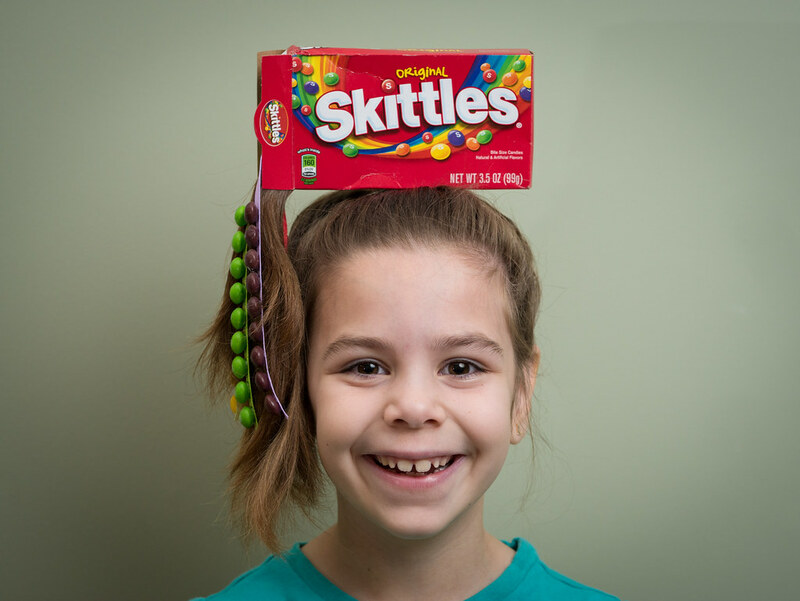 She had to explain that yes, it was real, but it was Skittles. Didn’t they read the box? Molly made up this song about her hair for Crazy Hair Day at school. 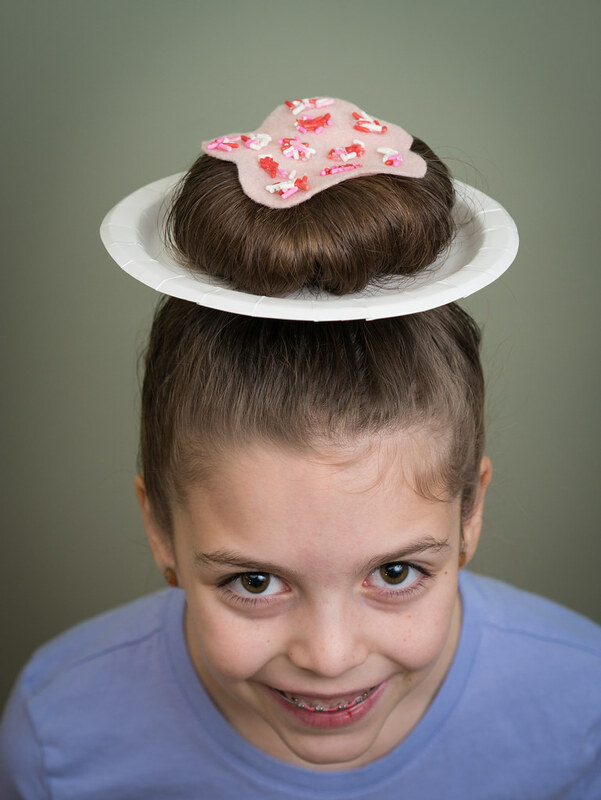 Leah knew the right catch phrase for her Crazy Hair Day hair. Then finally, Halloween arrived. Before heading out, we took some more pictures. And this time, Molly figured out how to make a straight face. And we can be fierce. And, of course, a silly one. 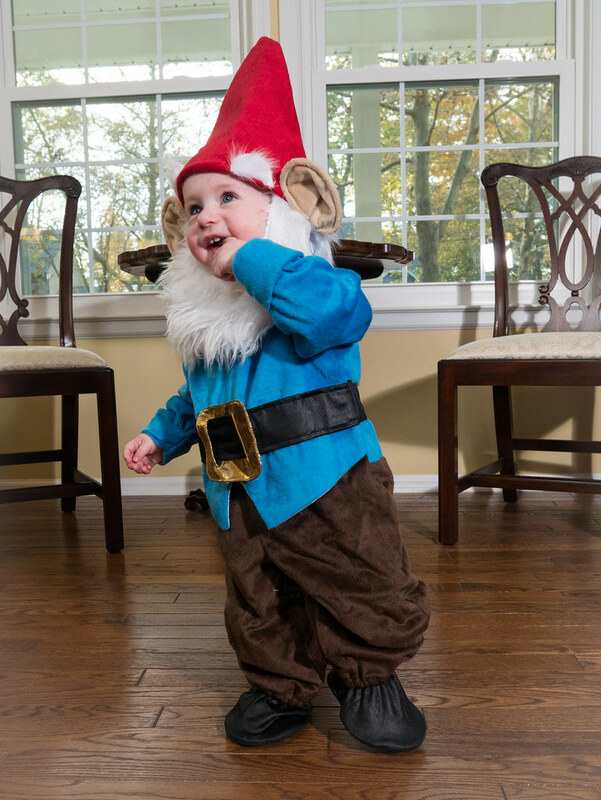 Then it was time to head out for some trick-or-treating. 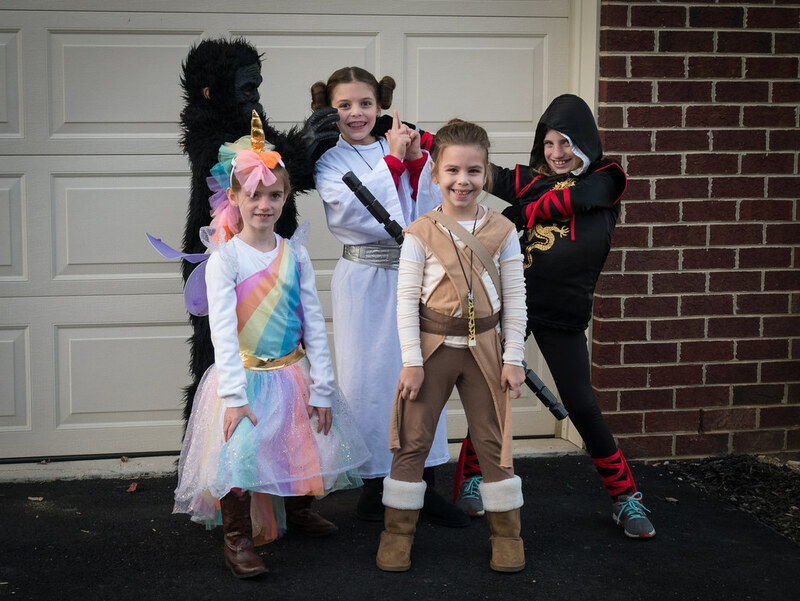 Our girls were excited to trick-or-treat with their friends. 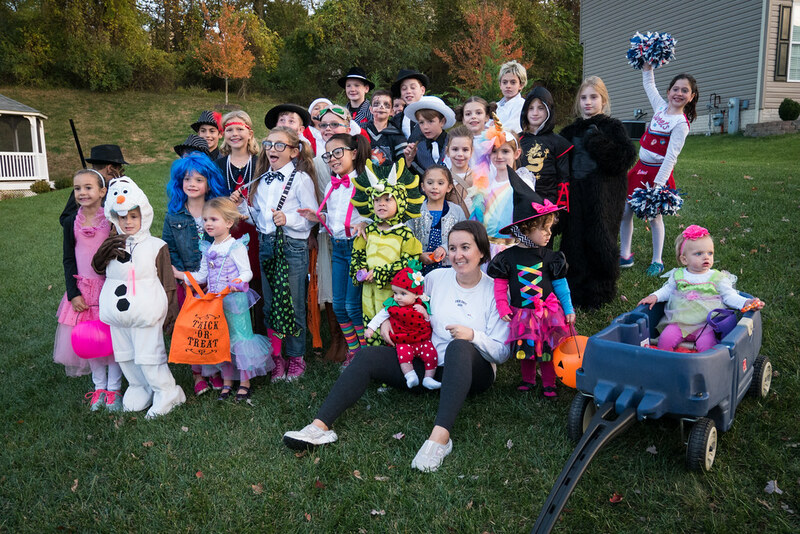 As always, we took a picture with some of the neighborhood kids before embarking on trick-or-treating. 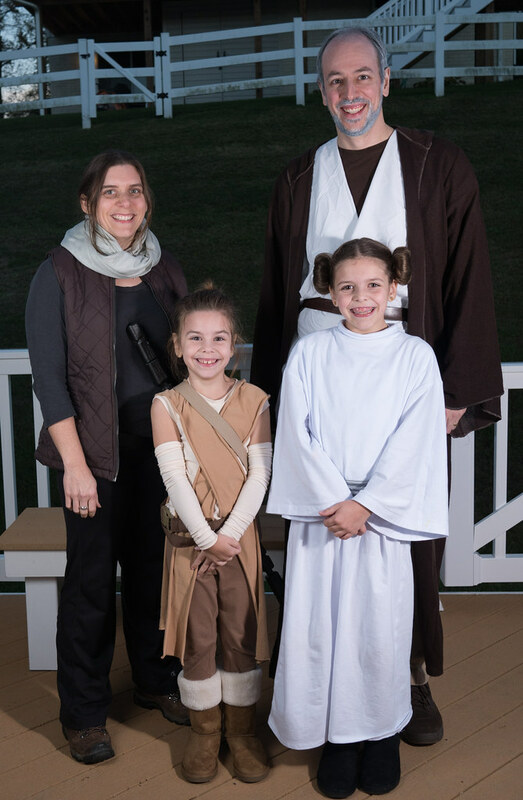 This year, Jen walked around with the girls while I stayed home to hand out candy (in character with my best English accent). I kept count of how many visitors we had, and I believe it’s a new record. We had 134 trick-or-treaters come to our door. The girls and Jen had a great time as well, and came home with more than enough candy to donate most of it and keep plenty for themselves. 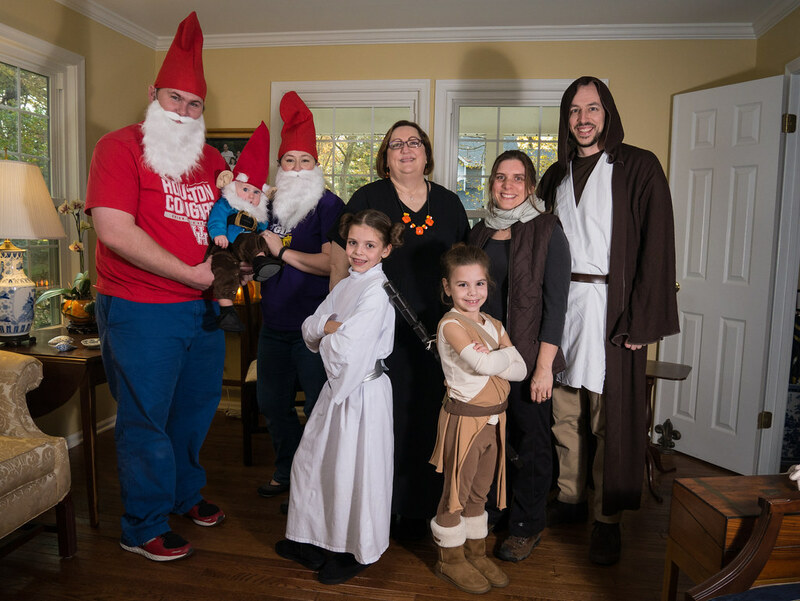 We got together with my side of the family the day before Halloween for a little preliminary fun. Here we all are. 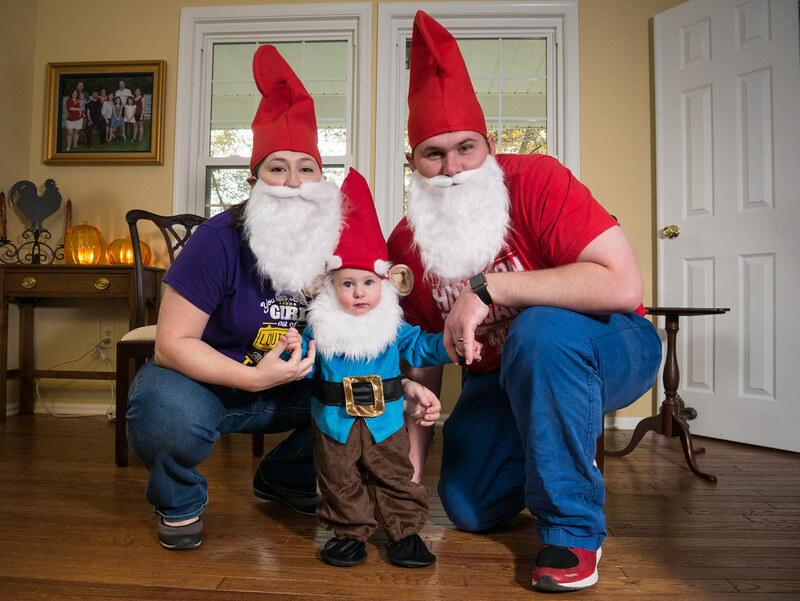 Charlie, Aunt EA, and Uncle Scott were gnomes. I wonder if they could get me a good deal on a flight or hotel. 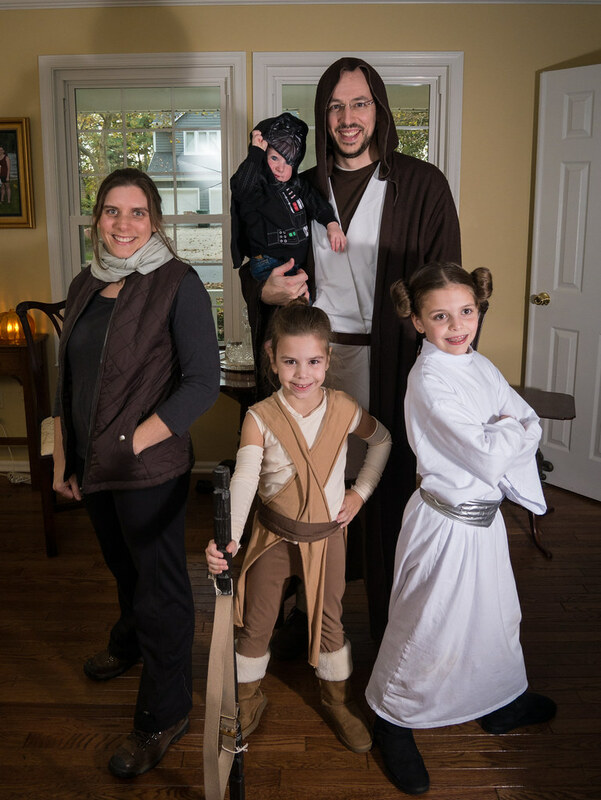 Charlie put on his Darth Vader outfit to add some dark side to our Star Wars party. 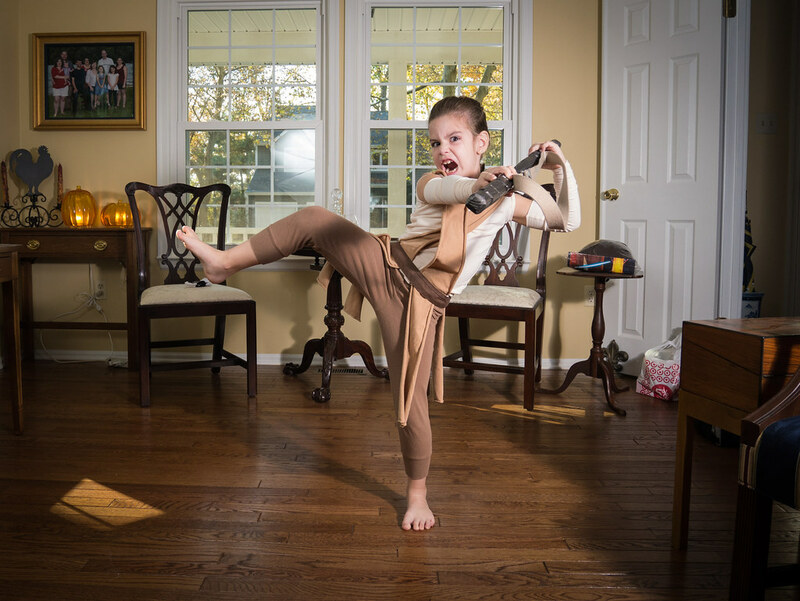 Leah also showed off some fierce moves for the camera with her staff. And Molly may have photobombed her at one point. 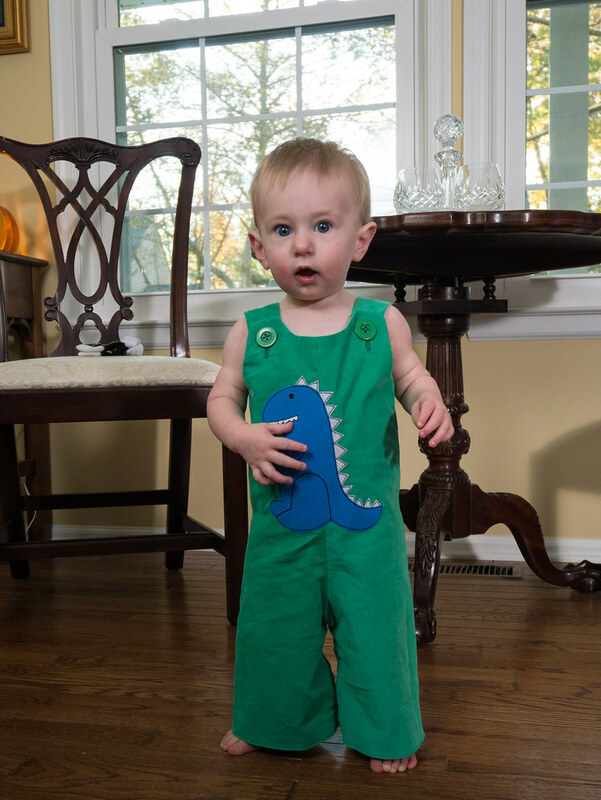 Charlie tried on one more outfit in addition to the costumes - this new fun dino romper. Aunt EA asked Jen to make a few winter rompers for Charlie. Jen, of course, was happy to oblige! Jen doesn’t sew for little boys often, so she had fun trying a new dino appliqué. 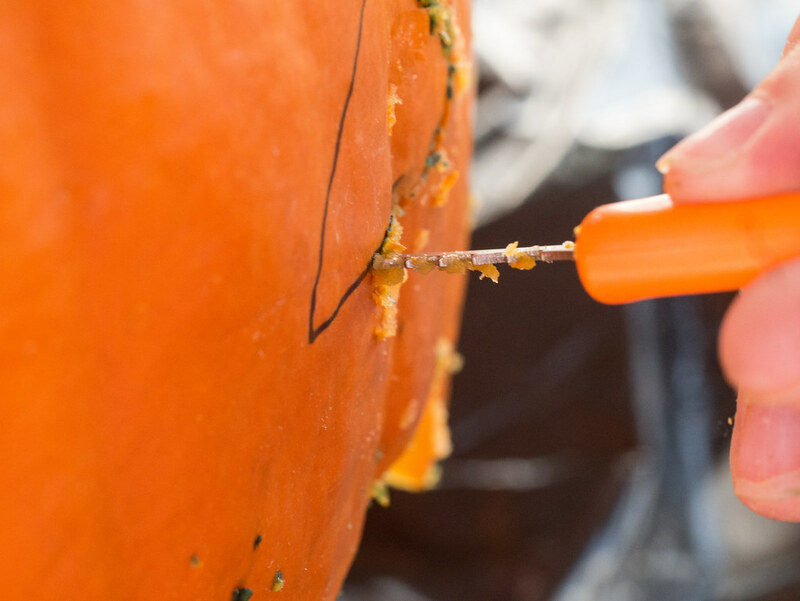 We’ve been very busy, so we didn’t get around to carving pumpkins until 2 days before Halloween. It’s so nice that the girls are old enough to do much of this themselves. Nice scooping, Leah. 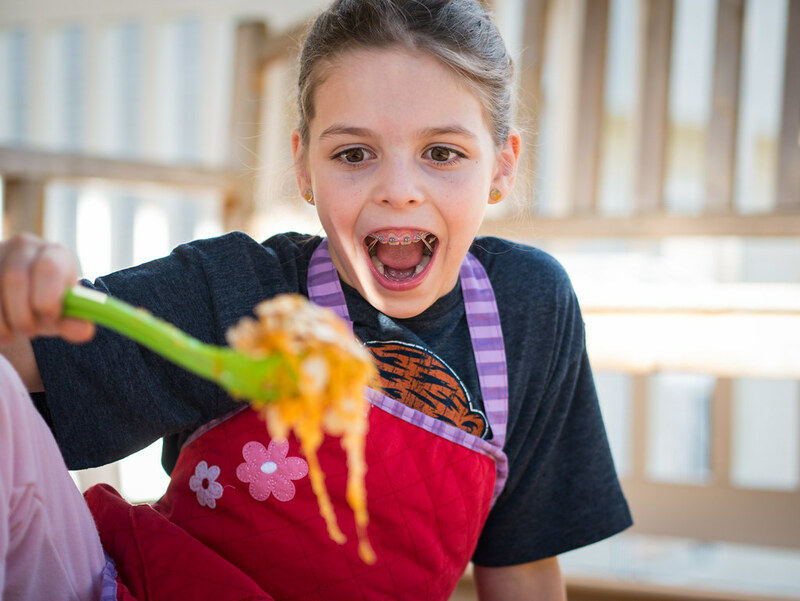 The insides of Molly’s pumpkin are amazing. After completing the scooping, they both drew out their designs. Then the girls cut out their designs. Molly’s doing a great job cutting out her owl. Not sure why she looks so angry doing it. 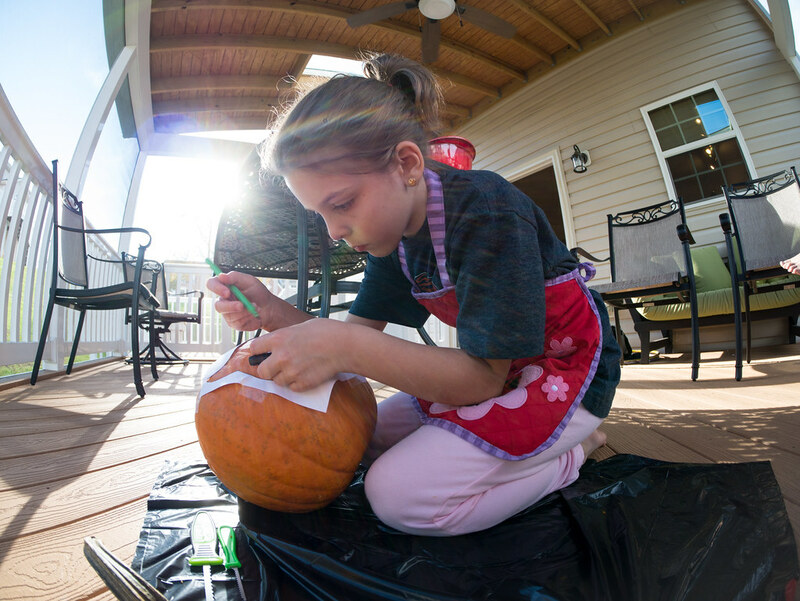 Leah’s being very careful cutting her pumpkin. Here are their complete pumpkins - Molly’s owl face and Leah’s funny jack-o'-lantern. 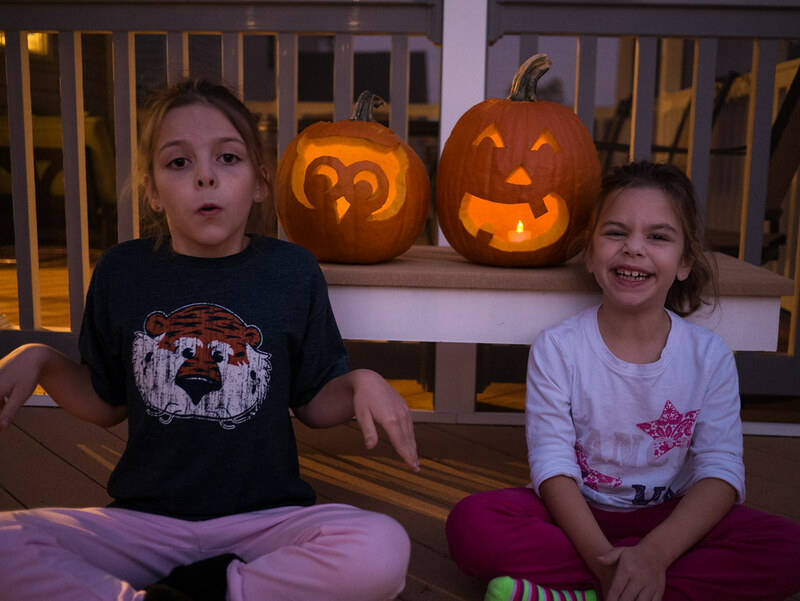 I asked them to try to match the expressions of their pumpkins. 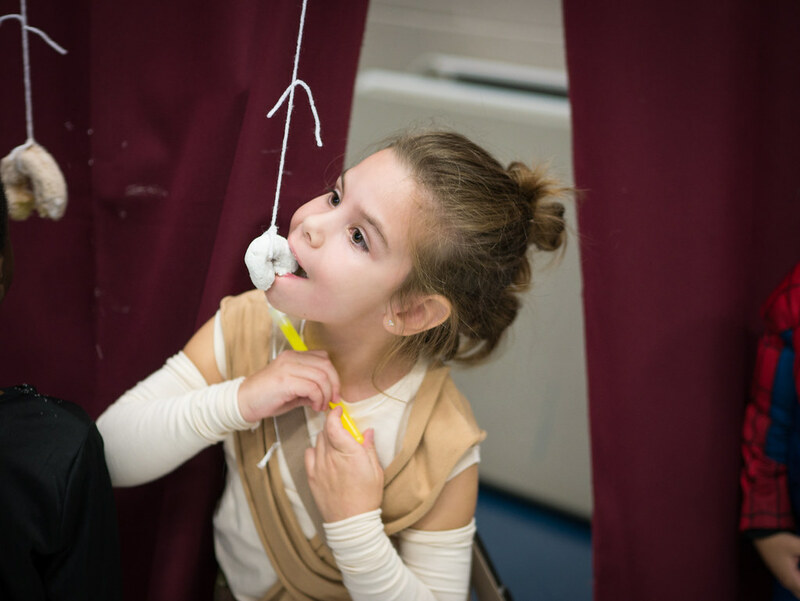 Sadly, our church did not hold a Trunk-or-Treat this year. So, we crashed on at a different church (CrossRoads Church of The Nazarene). 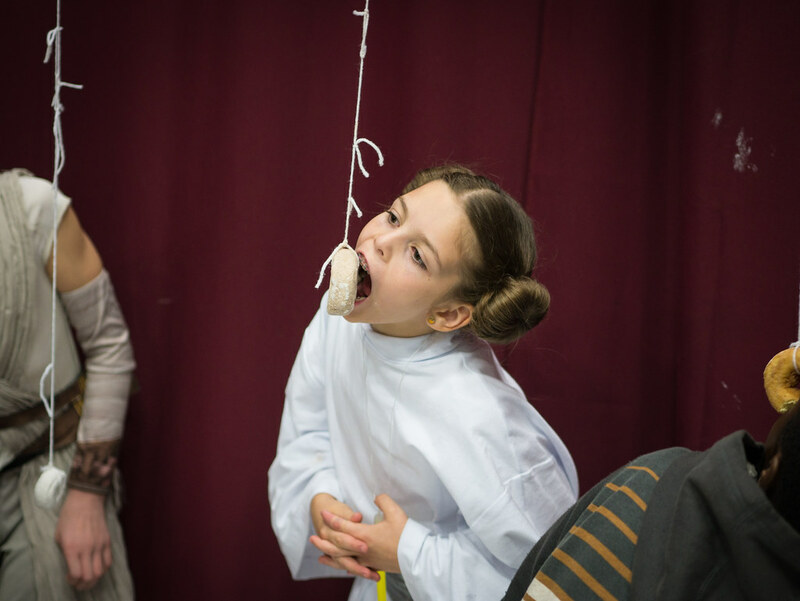 It was packed, and there was a huge line to do the donut-on-a-string, but that didn’t stop us from doing it. They finished their donuts just in time to watch the dance contest. 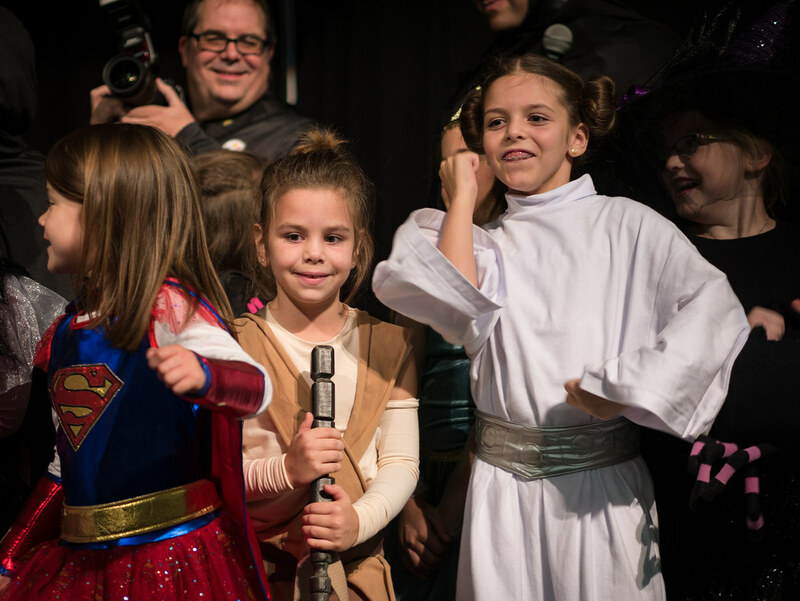 Then it was time for the costume contest, which the girls had been waiting anxiously for all night. 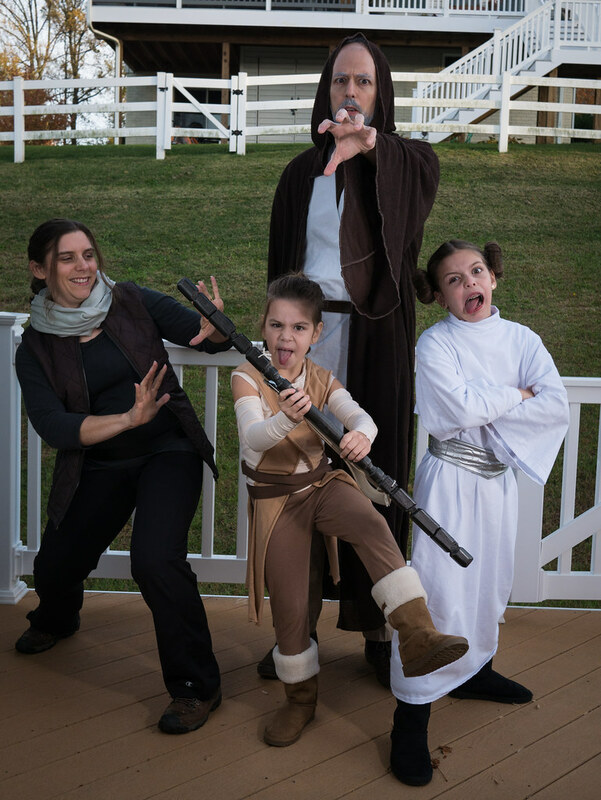 Sadly, there was no family costume category. But there were age/gender categories. The girls competed in the elementary girls category. Here’s Molly parading in front of the judges. I told the girls to show off in front of the judges to catch their attention. Leah decided to show off her skills with her staff, twirling it around as she walked. 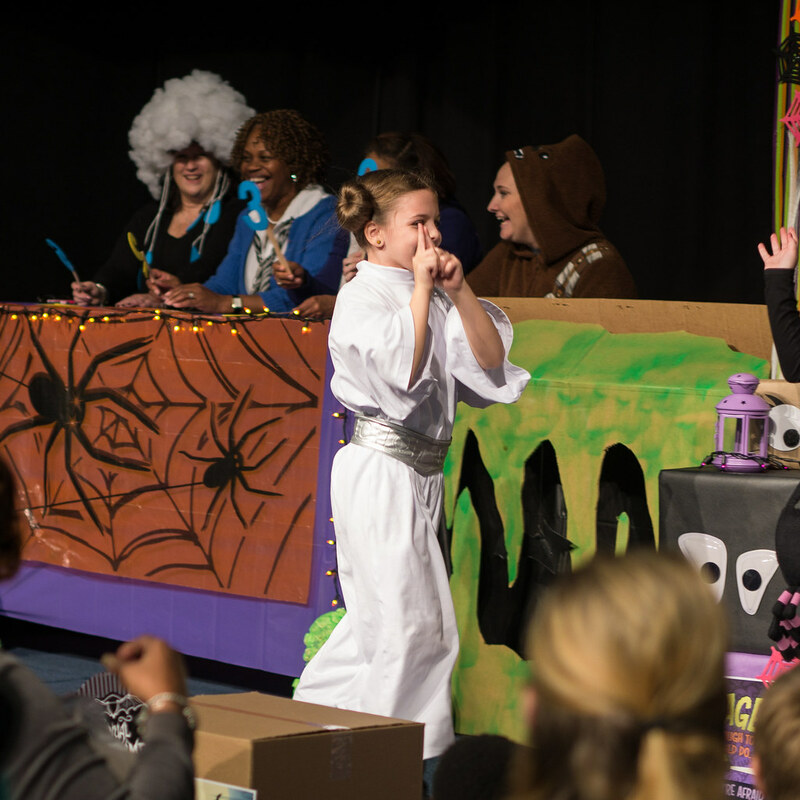 While the judges were deliberating, Molly showed off her sweet dance moves on stage. The event had lots of people, and the elementary girls category had the most kids of them all. I’d guess there were 50 kids up on the stage. 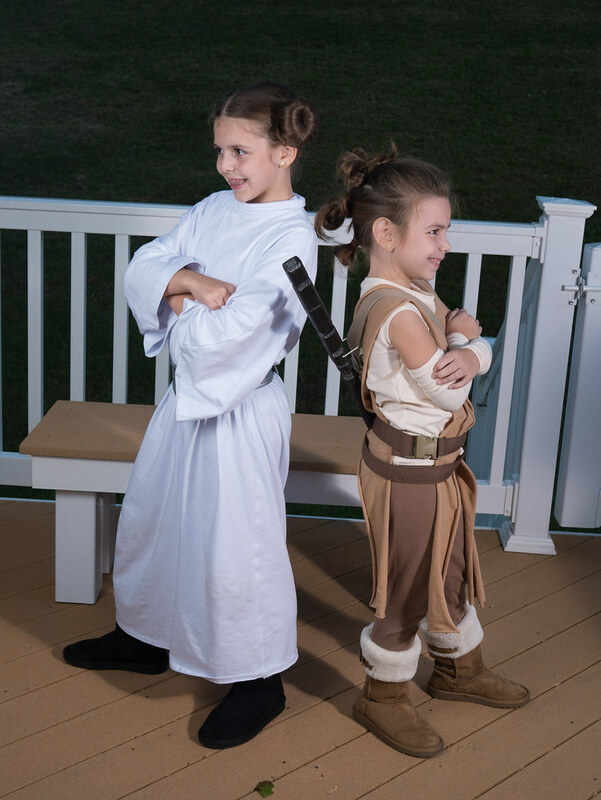 Sadly, neither of our girls won the contest (though in my completely unbiased opinion they clearly should have). 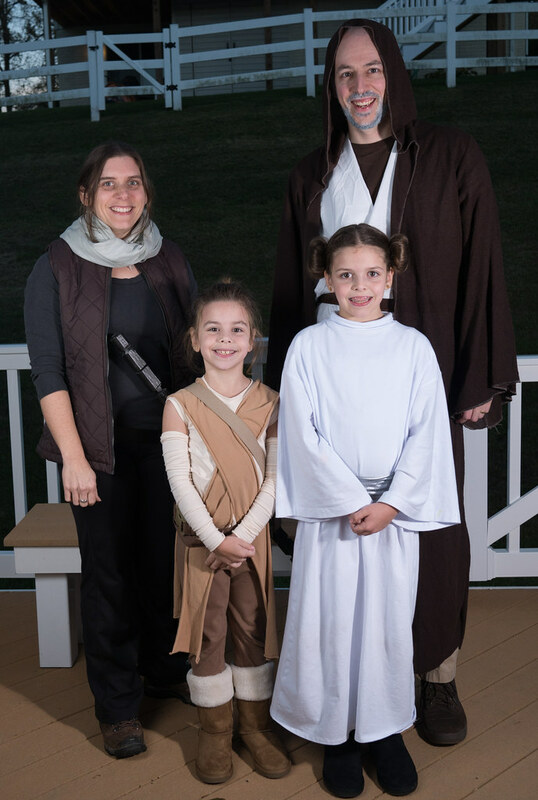 Then we headed outside for the Trunk-or-Treat. This was a very snazzy version, where all the cars were not just decorated. They had games you had to play to win the candy. Unfortunately, these games took time, and the crowd was huge. So, every car had long lines to play the games. 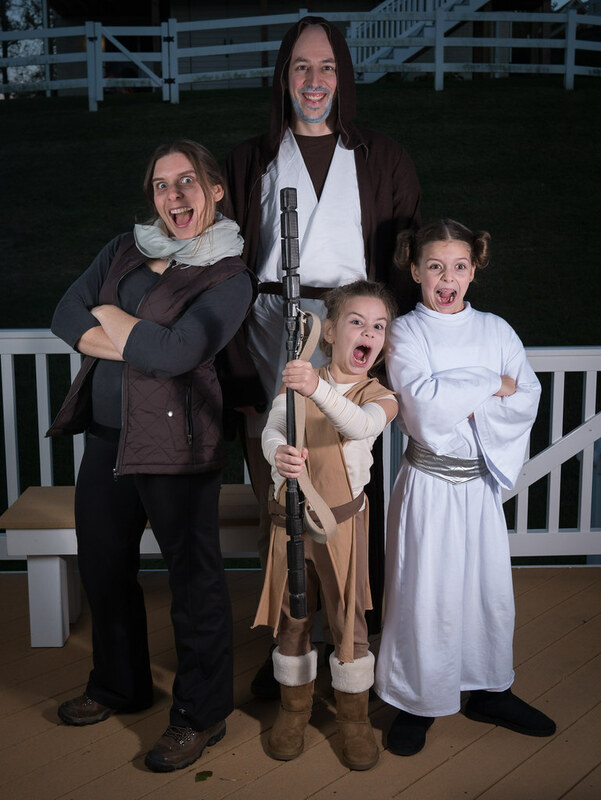 After 4 or 5 times waiting 10 minutes in the cold to get a piece of candy, we were all ready to be done. So, we went inside, drank some hot cider to warm up, then headed home. Thanks for having us, CrossRoads. 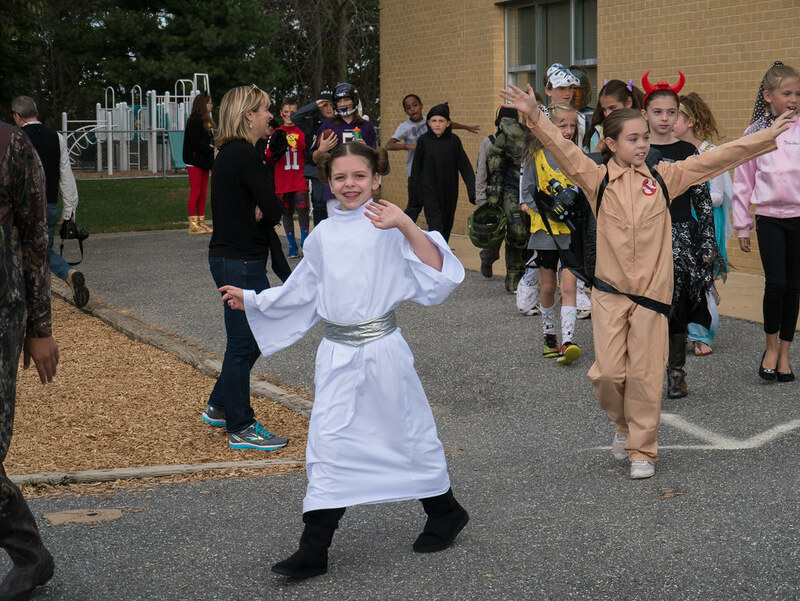 The girls’ school had a costume parade again this year. 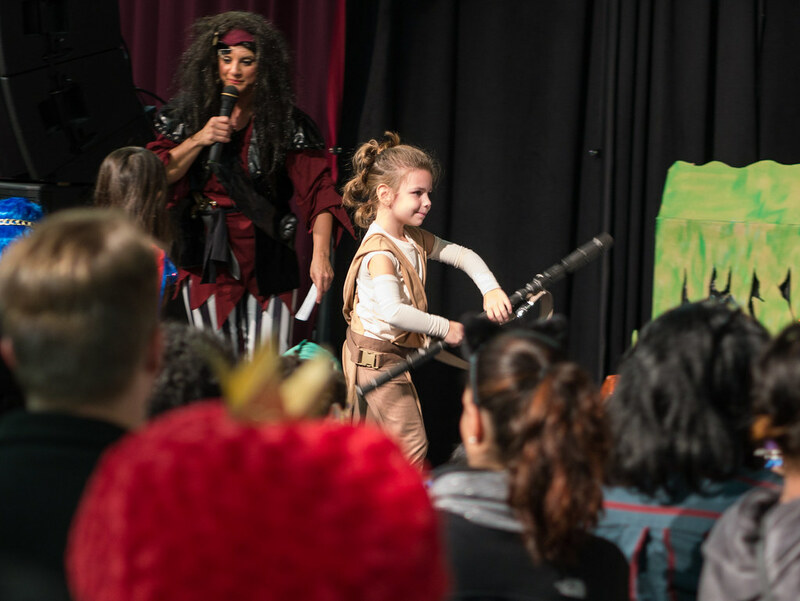 Most of the families show up during the school day to see all the kids parade around in their costumes. 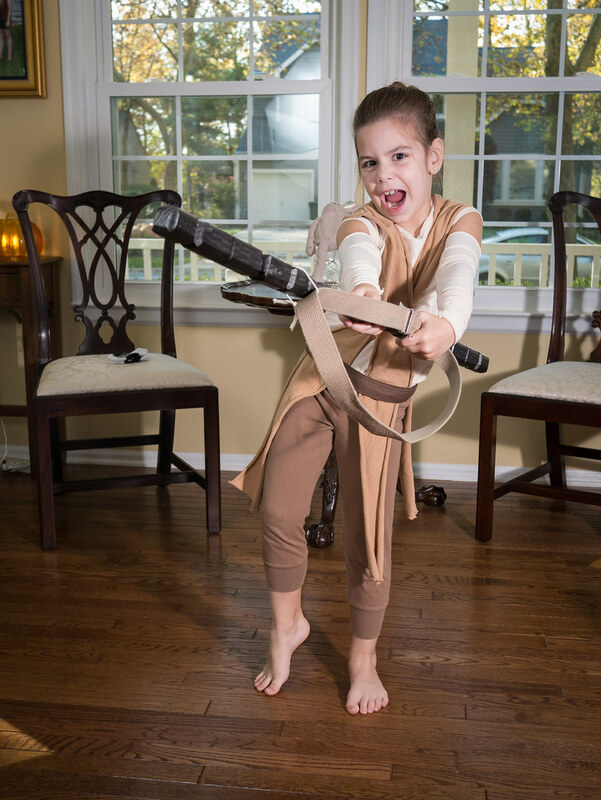 Here’s Molly/Princess Leia waving to her adoring fans. 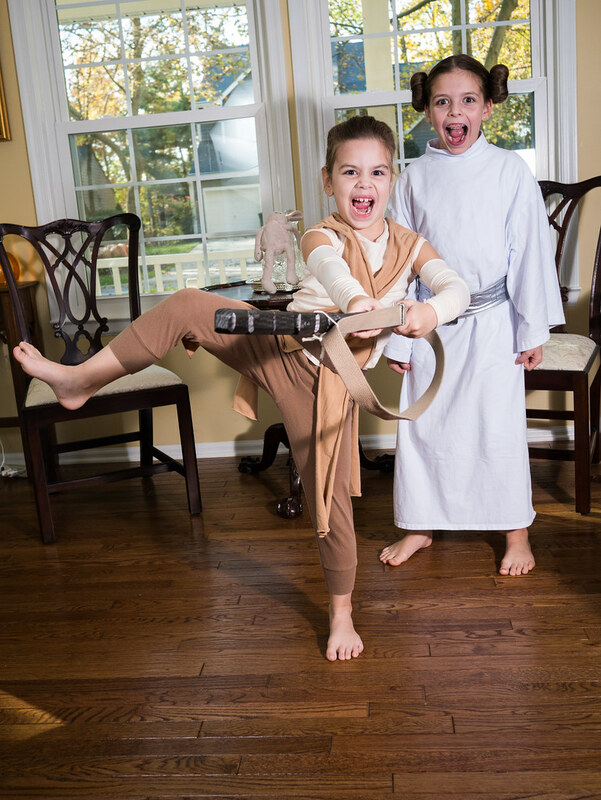 And here’s Leah/Rey. 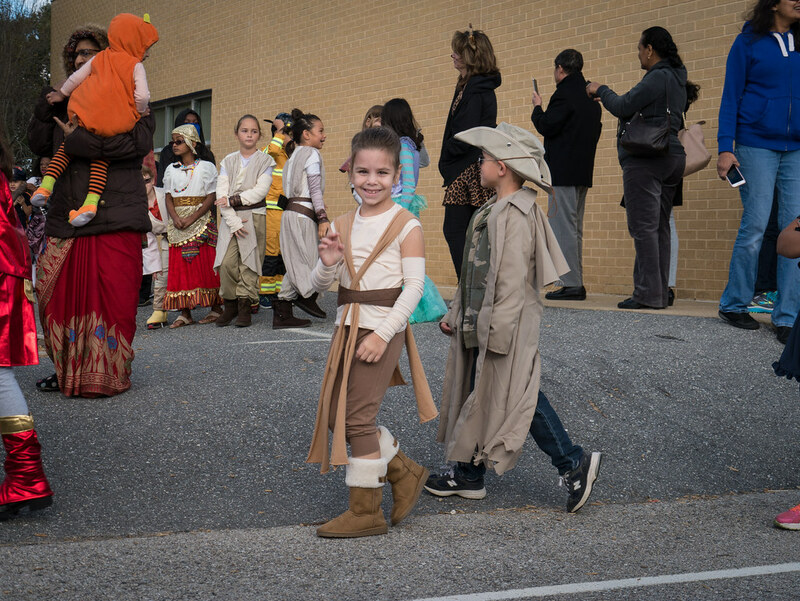 Rey was a very popular costume this year (you can see 2 other girls with Rey costumes in the background). But none of their costumes were fancy costumes hand-made by Jen. 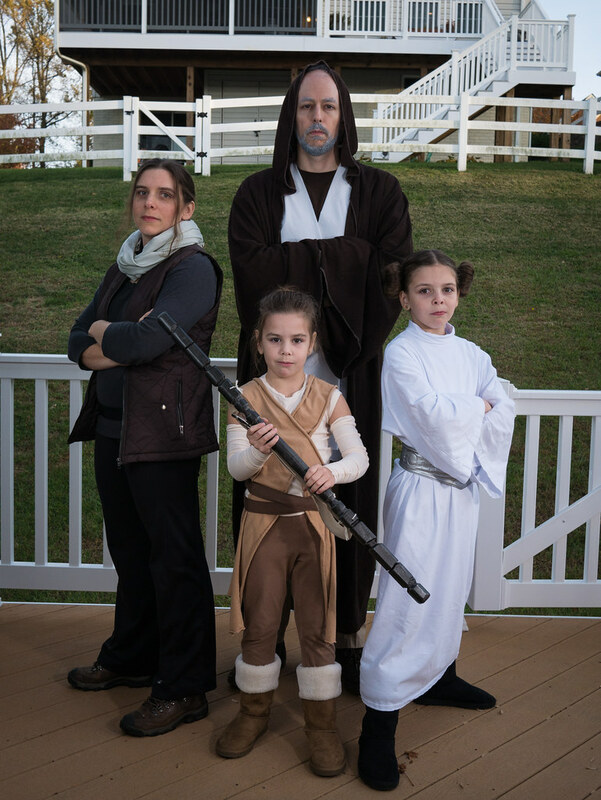 I’m a huge Star Wars geek, so I was thrilled when the girls decided we should all be Star Wars characters for Halloween. Here’s Leah as Rey, Molly as Leia, Jen as Jyn Erso, and me as Obi-Wan. 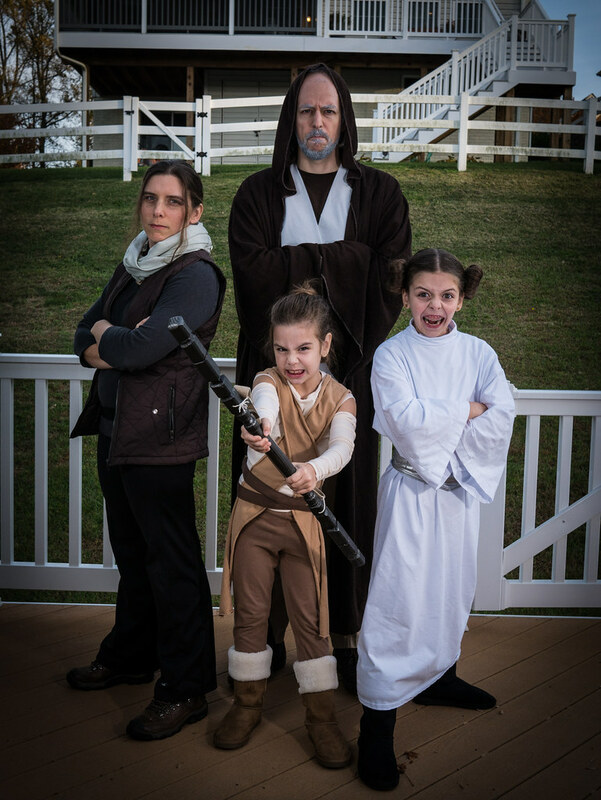 Jen of course sewed the girls costumes and created their hairstyles. I grew out a beard for the first time in my life, then colored it and my hair white/grey. 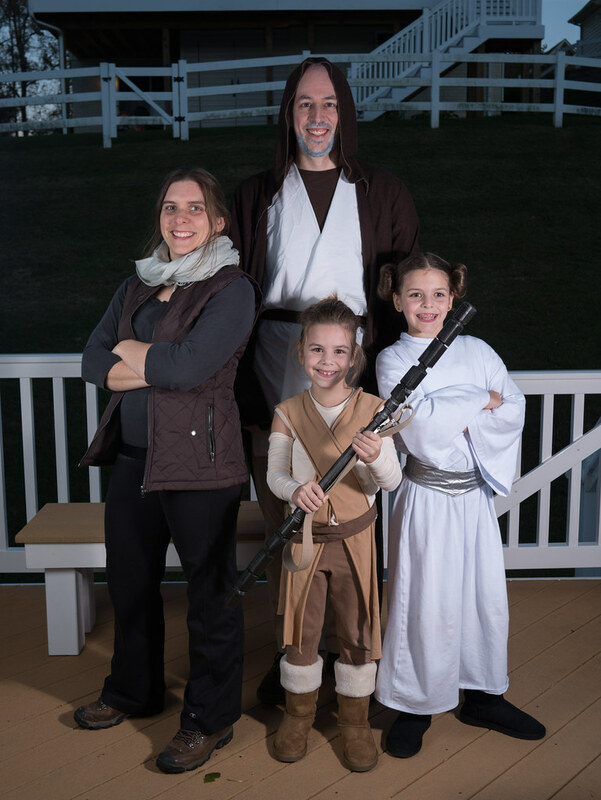 I also made Leah’s staff (bought a banister spindle from Home Depot, went to town on it with a router, then spray painted it with metallic bronze paint.). 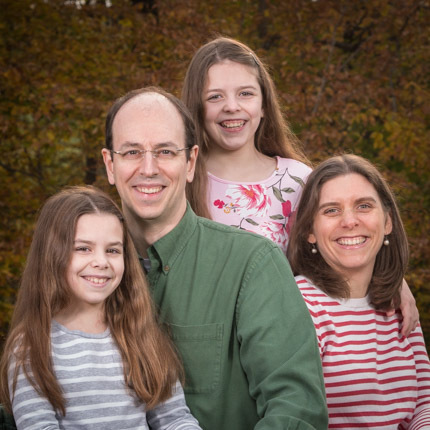 For this picture, I told them to “not smile” so we could have a serious picture. Leah, Jen, and I all knew what that meant. Molly - not so much. At least she’s not smiling. Here’s good look at the girls’ hair styles that Jen worked so hard on. And, of course, we took a lot of pictures. Here are some of my favorites. 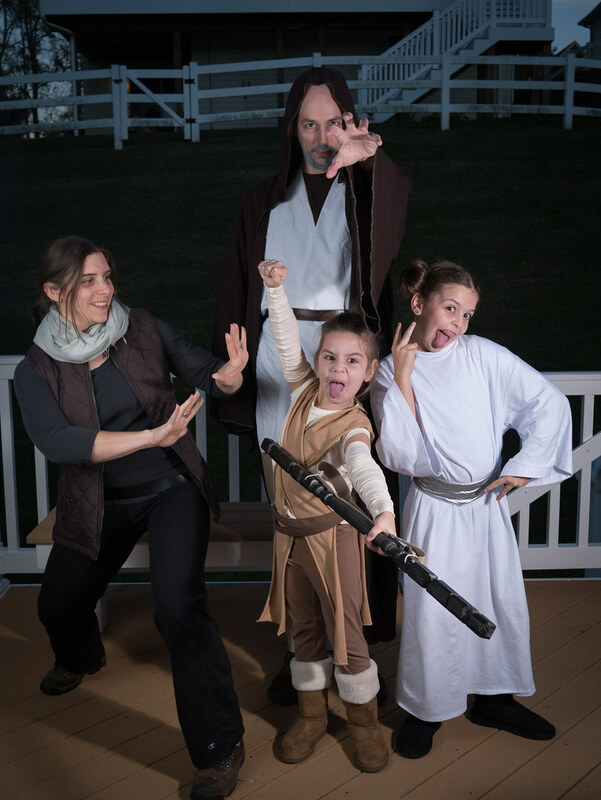 Much more to come about all the Halloween fun we engaged in while wearing these costumes. The girls’ choirs sang in worship back-to-back weeks in October. Molly was up first. The next week, it was Leah’s turn. Leah continues to be a serious tennis player. She got invited to step up from the regular recreational classes to the Academy classes back in June, and has been doing that since then. While the weather was nice, she even got to play on clay courts every week. Now she’s back inside avoiding the elements, but still loving it. 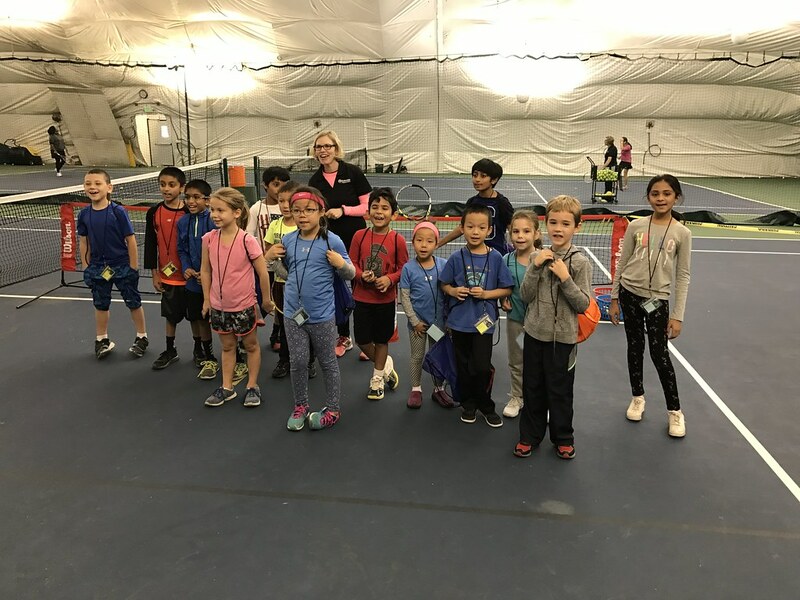 She participated in a Tournevent (somewhat less competitive than a tournament, geared towards smaller kids) and had a great time. Here are some of the kids at the end. 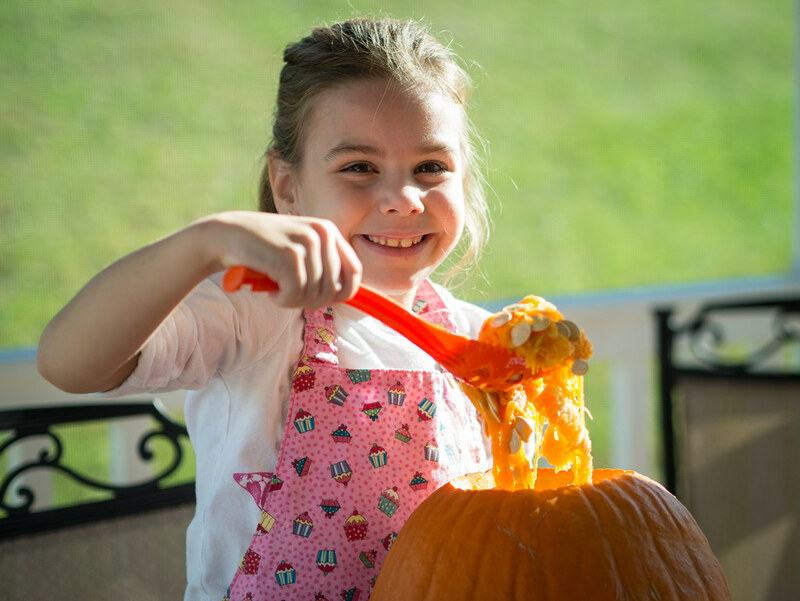 On a random October Saturday, Molly was invited to a sleepover party at her friend Grace’s. Jen was spending the evening with some of her friends, so Leah and I had a Daddy Date. She chose dinner and a movie, so we went to Cheeburger Cheeburger then saw Storks in the theater. 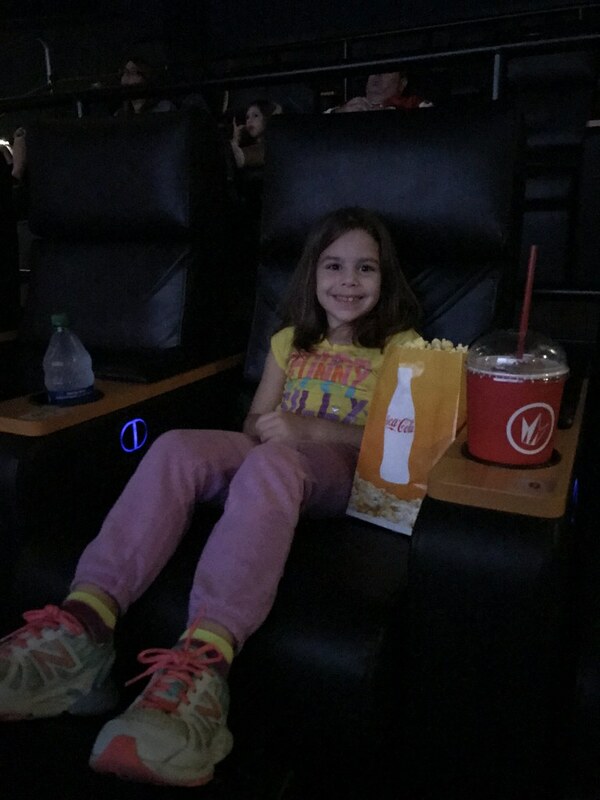 This was Leah’s first time in the new fancy reclining movie theater seats.